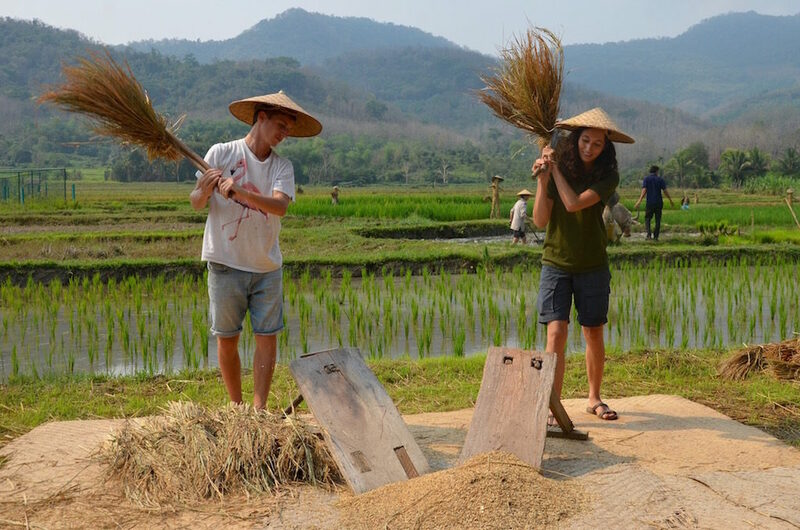 Léa et Simon, HopAmbassadeurs, have just completed their 10 month HopTour in Asia, an epic adventure filled with encounters and unique discoveries. The objective? To widen Hopineo’s HopHosts and HopSolutions network across Asia. “10 months, 9 countries, 15 eco-responsible structures, 3 international tourism forums/conferences, many encounters with major actors of the industry, this trip was definitely a personal and professional success. Traveling as a HopTripper allows for a combination of travel adventure and professional development while enhancing your professional network. It also provides a solution for travelling on a smaller budget, over a longer time span, by exchanging your professional competencies for food and lodging for example. To sign up for a HopTour is to engage in the search for new experiences, to meet individuals who inspire you and comfort you in the idea that we are moving towards a better world, and that no matter how little the impact of our actions may seem, we play a major role in this transformation. A HopTour also gives you the opportunity to develop virtues such as patience, humility, or attentiveness which can provide more sincere relationships with the unique organisations, individuals, and cultures met along the way. As every good thing comes to an end, it is with feelings of pride and fufillment that we travel back home to France. Léa is starting a master’s degree in Strategy, Innovation and Entrepreneurship, while Simon is creating his eco-responsible tourism business. Watch all Lea & Simon’s videos on our YouTube channel. Read about more travel stories in Asia on their blog. Previous Post HopTour Senegal with Liliane Next Post And Hopineo was born! libero leo. mattis efficitur. ut adipiscing ut justo Praesent sit ultricies consequat.